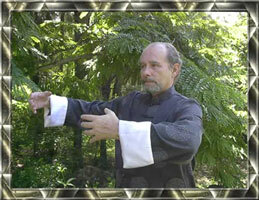 Mark S. Cohen is a writer, composer, and practitioner of the Oriental healing arts. A twenty year resident of Maui, Mr. Cohen was raised in southern California during the time when the San Fernando Valley was still mostly Orange trees and Walnut groves. At school he majored in archaeology but left to pursue a career in music, which has included conducting, (Houston Symphony and LA Philharmonic Strings), film scoring with composer Albert Harris, and piano and composition with Igor Stravinsky's son. Along the way, he trained extensively in martial arts with some of the foremost artists alive—in Hwa Rang Do, Yang and Wu styles of Tai Chi Chuan and I Chuan, the essence of martial art. He learned acupuncture and herbal medicine with a Chinese doctor. Uncovering early on that frequency was the link between the physical and unseen worlds led him to further investigate the mysteries of internal energy. Years later, he began to chronicle his discoveries and it was from this that The Mystical Journey of Ratho Shenzi was envisioned.